As you can see in the chart below, there was a very lovely uptrend on October 3 (which persisted until October 4). 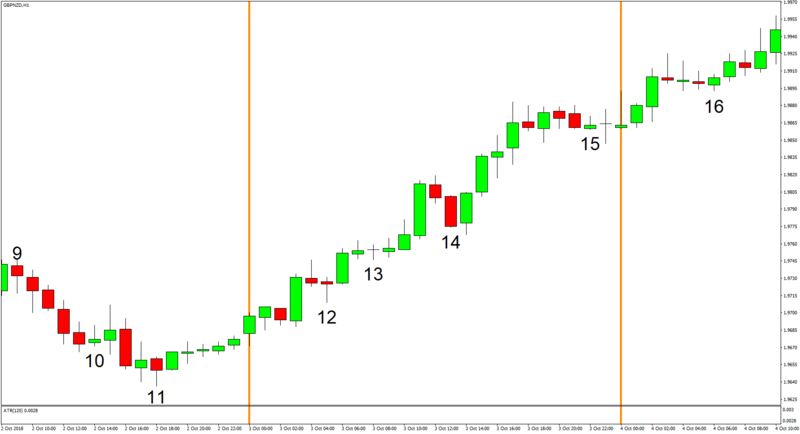 And as you can also see, the system was able to generate a few trades in the direction of the trend. 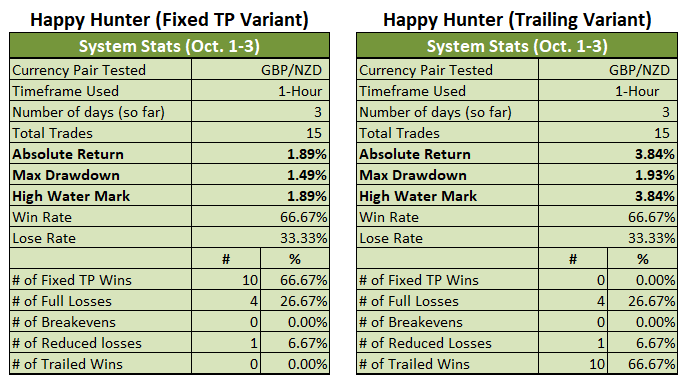 And luckily, no counter-trend trades were generated. It’s therefore very obvious that both Variants did well. 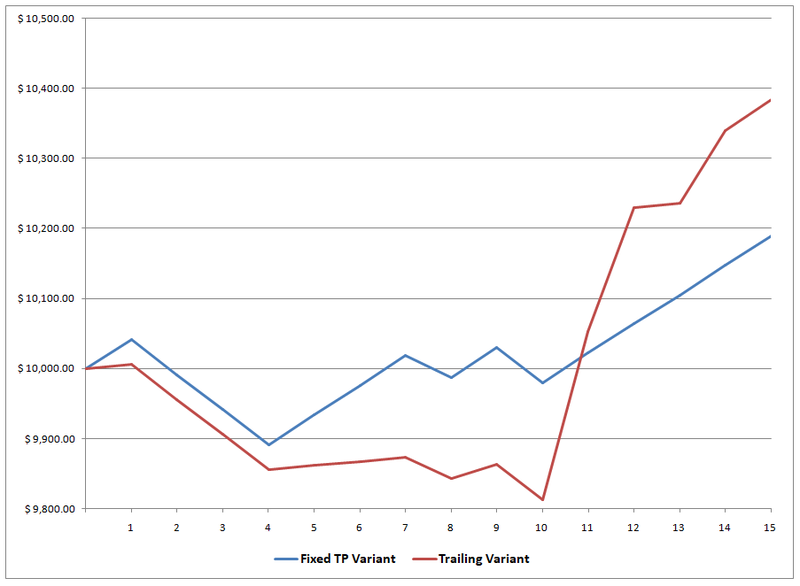 And as long-time readers probably guessed, the Trailing Variant did particularly well. It’s worth mentioning, though, that the Trailing Variant’s trade # 13 was kicked out at SW since there was enough volatility to reach TP, so SL was moved to SW, but the pair dipped just enough to take the trade out at SW before moving back up again. Oh well. 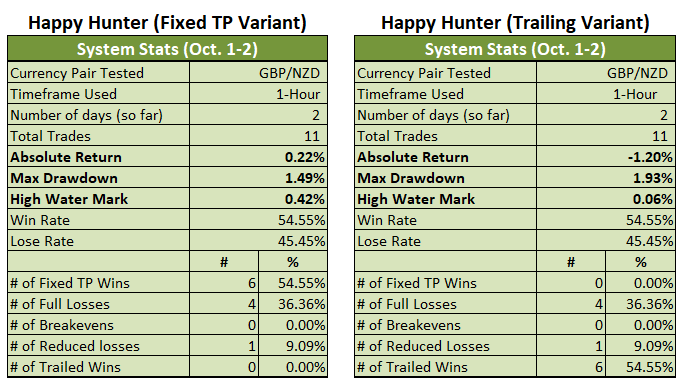 Anyhow, the Fixed TP Variant is now up by 1.89% for the month (+0.22% previous). The Trailing Variant, meanwhile, is back in positive territory with a 3.84% gain for the month, which is very impressive since it was down by 1.20% previously. And if you’re interested, you can check out the details by clicking on the relevant jump links below.